New York City Mayor Michael Bloomberg on Monday defended the city's decision to evacuate more than 370,000 NYC residents from their homes in low-lying regions ahead of what turned out to be Tropical Storm Irene as he praised the city's firefighters for their rescue efforts during the storm. Bloomberg, who has been a ubiquitous presence in the last several days - from visiting firefighters in Staten Island to greeting Brooklyn residents in an evacuation center in Bensonhurst - said the city's hurricane preparation measures "worked very well." "Most people could get to work today," Bloomberg told reporters in a press conference. Hurricane Irene, which made landfall in North Carolina Saturday, was downgraded to a tropical storm on Sunday. When asked what he would have done differently, the mayor said he'd make that determination after an investigation into how things functioned during the weekend's storm. "We'll go through every single one of our plans," he said, "see what worked and what didn't." One choice Bloomberg staunchly defended was the mandatory evacuation of hundreds of thousands of New York residents from their homes in low-lying regions throughout the city. "A mandatory evacuation gets a lot more people to think, maybe I should obey," Bloomberg said, adding that "I think a lot of people made the decision to leave" because the evacuation was deemed mandatory. "That's exactly what we should have done," he added. 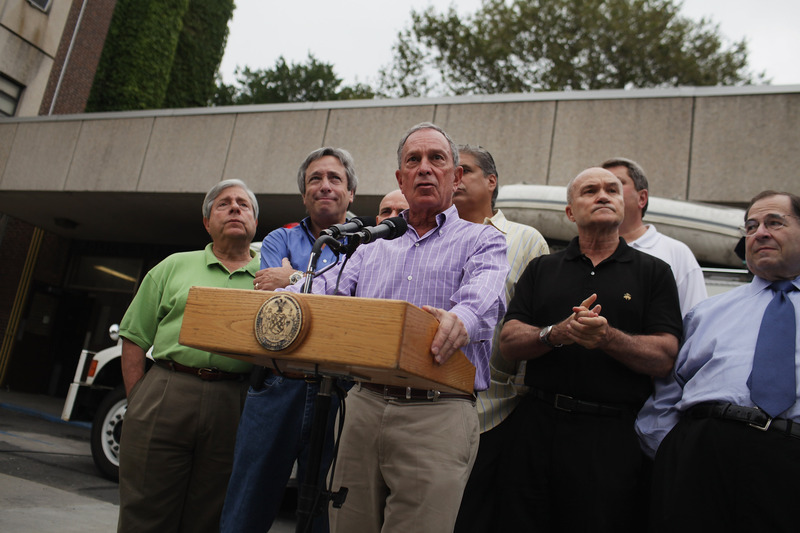 Speaking to firefighters on Staten Island on Monday, Bloomberg said it was "better to be safe than sorry." say, 'Yes I am glad that I did that.'" New Jersey Gov. Chris Christie also defended the decision to evacuate, saying Sunday that he was confident having done so saved lives in his state. "The fact that we were successful in evacuating over a million people in the most affected areas was a preemptive measure that I am confident saved lives," Christie said in a Sunday press conference. Two New Jersey residents and one New York resident died as a result of Hurricane Irene.